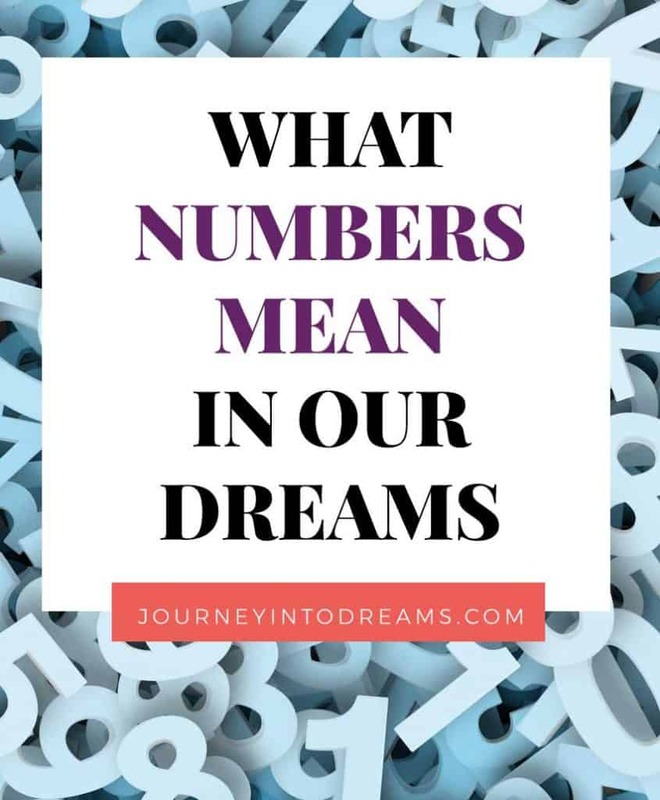 It is common for us to dream about numbers, and often times dream interpretation for numbers can help give us some insight into our daily current lives. For centuries, numbers have been believed to have meaning and are very much a language of their own. Mathematics is not so much as a science as it is a language to be used in understanding science. Because of this, it is very easy to translate into dream meanings for numbers. What Does it Mean to Dream of Different Numbers? I have found that for most numbers in dreams, it commonly ties into themes associated with numerology meanings for each number. For example, the number 8 often has to do with the material and physical world and wealth and abundance. This could tell me in a dream that I have some thoughts concerning my current finances or physical environment in the world. We'll explain what all the individual different numbers mean in dreams in more detail later in this article. Does the Number Represent a Date of Significance? Often times a number will appear in our dream to symbolize a specific person or event in our life. For example, let's say you dream of the number 28, and that just so happens to be your birth date, or the birth date of one of your close friends or family members. Numbers that appear in our dreams could be the year of some important event. For example, if you dream of 92, this could be a reference to something that happened in 1992. Sometimes we'll see the numbers on a sports jersey of an athlete. This is mostly only the case however if you are a sports fan and spend a lot of time watching sports. For example, if you dream of the number 12 and love football and never miss a Patriots game, there could be some meaning where quarterback Tom Brady could be a symbol. Many people who see dreams more as a party trick for fortune telling will often tell you that numbers in our dreams are lucky numbers and you should play the lottery. This is usually NOT the case, but it's worth mentioning that my husband's grandmother did often have dreams of lucky numbers she would play in the lottery - and won both little prizes and the the jackpot. As always, deciding whether to gamble is a personal decision and should be done responsibly. Before you rush off to play the lottery, make sure the numbers don't mean something else and listen to your own intuition! Often times we use numbers to measure something in our lives. This could be measuring the weight, height, or length of something. We can often see numbers on rulers, tape measures, scales, and other types of measuring tools. In our dreams, each number has significance. 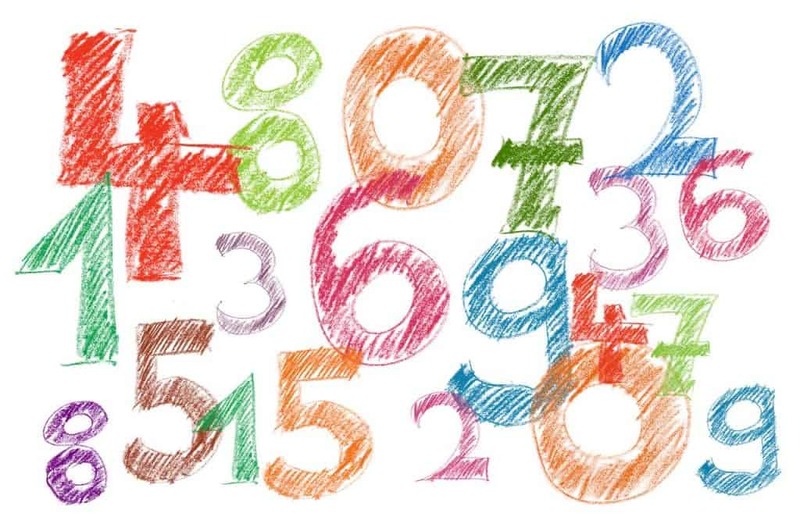 Learning to understand these numbers will be helpful for you when you encounter it in a dream. The numbers 1-9 are all the building blocks for every other number we may encounter in a dream. For example. the number 1805 would suggest to look at the meanings of the numbers 1, 8, and 5. You would also want to look at the meaning of this complete number. For example, if you added these numbers together, you would get 14, and if you add these digits together 1 + 4, you would get a 5. The number 1 in dreams often means new beginnings and leadership. It can mean being unique and rebellious, or it can mean being self-reliant and independence. Seeing multiple instances of 1, such as the 11, could have more significance, as 11 is believed to be a number of our heart's desires and soul urges. When we see 11:11 in a dream or even repeatedly in waking life, it is often a sign to us to think about what our soul wants in our life. The number two signifies cooperation and peace. We often see the number two in conjunction with dreams about relationships and making compromises. The number three is often associated with creativity, communication, and expression. When we see the number 3 in a dream, it often is a sign that we need to pay attention to how we communicate our ideas. In numerology, the number 33 is often thought of as the "Master Teacher Number" - this is a number for fully listening to the higher wisdom of the soul. 4 in dreams is often a number symbolizing strength and a solid foundation for which all other things are built upon. This is a "down to earth" number, which means being practical and responsible. This is a number for trustworthiness, loyalty, and reliability. The number 4 can also mean lacking imagination or being afraid to break from routine and habits. The number 5 is a sign for being adventurous, energetic, and daring. This is a freedom loving number. Seeing the number 5 in a dream could mean you are seeking new opportunities. It can also be a symbol for acting spontaneously and impulsively, and not thinking of the consequences. The Number 6 represents family and home life. This could be a symbol of tending to something in your life. This number in dreams resonates with nurturing and caring. This is a number of compassion and sympathy. It can also mean worries and fears in dreams. The number seven often stands for self-reflection and examining one's true emotions and feelings. This is a number of rest and retreat. The number 8 often pertains to wealth, business, and the physical world. This is often a number to remind us to think about what is happening in our physical lives, or to give our finances some of our attention. The number nine is often a symbol of finding conclusions and the closing of a cycle. It can also mean to focus on others and the community, such as being involved in humanitarian type of activities. Each of these individual numbers are the basic foundation for all higher numbers. For example, the number 1208 might have the qualities of 1, 2, and 8. In numerology, some will add these integers together to combine 1+2+8 = 11. When you have the number 11, this carries an increased weight on the qualities of the 1. Learning about numerology can be very helpful in understanding the deeper meaning behind numbers in your dreams. Get a Free Numerology Report: The best way to dive into numerology is to get your own numerology chart created. You can get a great free personalized numerology report here. There are many resources for understanding the meaning of each individual number, and one of the best places I have really found helpful to learn about the meaning of numbers and explore numerology are the Creative Numerology Books by Christine DeLorey. Each of these books can really give you a lot of insight into the meaning of different numbers and how they apply to your life. Best of all? Most are available on Kindle Unlimited, which means you can read them all and thousands of other books for just one low monthly price. Another classic numerology book is this one by Hanz Decoz. You may also like the book Angel Numbers by Doreen Virtue. She has a lot of resources on what numbers mean. Do you have any questions about dreams about numbers or what numbers mean in a dream? Do you have a dream interpretation for numbers you would like to share? Tell us your experiences in the comments below!